As search engine optimisation (SEO) continues to evolve, the key terms and phrases we need to know also change. So, as a UK agency providing SEO services, we thought it would be a good idea to create an SEO glossary of terms that we can keep updating for you, as time goes by. In other words, this is the only SEO glossary you need in 2017-18 and beyond! Just to be clear, we’re sticking to SEO terms only in this glossary, so you won’t find related terms like PPC or AdWords in here. This is the standard HTTP status response, a code that says your web page has loaded successfully. A server response code that represents a permanently moved page. In these instances, you should use a 301 redirect. A server response code that represents a temporarily moved page. In these instances, you should use a 302 redirect. A server response code that represents a page that can’t be found. These aren’t problematic in themselves but (broken) links pointing to 404 pages can hurt your search ranking. These links should be removed or amended. The area of a web page visible in the browser window without scrolling down. While this is primarily a design term, Google’s page layout algorithm penalises the overuse of ads above the fold. A program that returns results or takes action based on a set of rules and calculations. In most SEO conversations, this refers to Google’s search algorithm but it’s also an important part of the tools we use for SEO – especially with the rise of automation. Alt text is optional phrasing you can add to an HTML element. The most common use is for images, where providing search engines with context proves your images are relevant to the content on your page. Every image on your site should have alt text, preferably including your main keyword for that page. Anchor links are hyperlinks that send users to a specific place on the page – either the same page or a separate one. We’re using anchor links in this article to help you navigate from A-Z. Anchor text is the clickable wording users see when you include a text link on your pages. Anchor text should be relevant to the page you’re linking and including keywords always helps. A link from another site pointing to one of your pages. Backlinks are still one of the most important ranking factors in Google’s search algorithm but links from irrelevant or poor-quality sites can seriously damage your search ranking. A bot (otherwise called a spider or crawler) is a piece of software or an application that runs automated tasks. In the case of SEO, these tend to be search bots, which discover and rank new content and updated pages. Bounce rate is the number of visitors who leave your site without viewing a second page. In most cases, a high bounce rate is considered bad, but there are times when higher bounce rates could be a good thing (e.g. a user converts right away and leaves). A branded link includes the name of a brand in the anchor text and normally points to their home page. For example, our own branded link would look like Vertical Leap. A broken link is a URL that isn’t working properly – normally because it’s pointing to a page that has been moved or no longer exists. The main thing to remember is that broken links on your site can affect your page ranking. Run regular tests to pinpoint any broken links and get them fixed or, better yet, use an automated tool that alerts you as soon as any break. The rel=canonical element allows you to publish the same or similar pages under different URLs without setting off duplicate content alarms. Essentially, you tell Google and other search engines which version is the original and they choose to show this page ahead of the others. Citations are instances where your brand name or domain name is mentioned elsewhere on the web. This is particularly important for local SEO (NAP details) but citations in regular content also tell search engines your brand is worth talking about. Content or headlines designed to generate the maximum number of clicks rather than focus on providing the best quality or value for users. In SEO terms, your click through rate (CTR) reflects how often your listing is clicked when it appears on the results page. First of all, this is a ranking signal but it also gives you insights into how effective your titles, snippets and other listing elements are. Cloaking is blackhat technique that delivers one type of content to Google and another to users. Unless you’re up to no good, there’s no benefit to this or reason to use it. That said, it’s still worth knowing what it means. A Content Delivery Network (CDN) uses a global network of hosting servers that you can use to load your site from locations closer to each user. This improves your loading times for worldwide visitors, which is important if you are marketing to international audiences. The strategic creation and distribution of content, as part of a marketing strategy designed to attract new leads and guide them along the buying process. Despite what some marketers will tell you, content marketing is not the new/same thing as SEO but they are closely related. Essentially, you can’t do one without the other. When a bot discovers your site, a new page or any updated pages, its job is to crawl them. First, it needs to read the base code, parse it and then index the resource, if there’s any impact on search ranking. One of your most important SEO tasks is to make your resources easy for bots to crawl and index. Crawl errors refer to a number of issues that prevent search bots or other types of crawlers from accessing or parsing web resources. Such errors can include DNS errors, server connectivity issues, code bugs or issues with key files, such as your robots.txt file. Once again, one of your most important SEO tasks is to avoid crawl errors. De-indexing is the process of a search engine removing a web resource from its results pages – either temporarily or permanently. In this case, the resource is no longer accessible from the search engine that de-indexed it. Disavow is an action taken when you want to disassociate yourself with a particular site. As on the internet everyone can link to you, there might be sites you want Google to ignore. Links are a vital part of the ranking algorithm and is important that search engines find mostly high quality and relevant links to your site. Whether you are doing a proactive backlink audit or cleaning up after a link penalty, you will need a disavow file to upload to Google Search Console. Domain Authority is a widely used metric created by Moz, not Google or any other search engine. It assigns a score out of 100 to websites, at the domain level, to represent its performance in search engines. A doorway page is designed to attract SEO traffic but usually, includes very little or irrelevant content. Some contain a lot of ads while others simply aim to lead users on to another page that has nothing to do with what the doorway page ranks for in search engines. A do-follow link is a standard link that doesn’t use the Nofollow attribute. Do-follow links pass on PageRank, which potentially helps the page or site they link to. However, do-follow links can also have a negative impact if they link to/from lower quality sources or irrelevant pages. Duplicate content is simply repeated content that appears in different locations or even on the same page. There are instances where duplicate content is justified (eg: translations, different versions of the same product, etc.) but it’s important you know how to deal with these issues. For more info, check out this page at Google Search Console. A broad term that refers to the amount of time users spend and/or the number of actions they take with any website, page, resource or application. Engaging content generally keeps users on the page for longer, inspires them to take the desired action or encourages them to interact with particular elements on the page (e.g. navigation buttons on a slideshow). This is one of Google’s most important “quality” metrics that aims to measure the usefulness and credibility of your site and its pages. Google wants to deliver the most useful possible content to users from sources it can trust and this metric analyses a wide range of signals to determine these factors. An external link is one that points to different website – i.e. not the domain it’s hosted on. For your own purposes, this is when you link to any website that isn’t your own. Stick to trusted sites for do-follow links and use the Nofollow attribute for any sites you’re not so sure about. Fetch as Google is a tool found in the Google Search Console that allows you to check the rendering of a resource. Basically, you’re simulating a visit from a Googlebot and getting a view of how it sees your resources. Google’s industry-standard analytics tool, available in both free and premium versions. To this day, it remains one of the most powerful and flexible tools of its kind, even if you’re only using the free version. If there’s one essential tool for SEOs, webmasters, and marketers, this is definitely it. If you’re looking to rank in Google News, you’ll want to submit a separate Google News Sitemap for your news-style content. For more information on what this involves, you can head over to Google Support. A set of rules and suggestions from the search giant for webmasters to follow to ensure their sites are indexed optimally. It’s a good idea to keep yourself updated with any developments made to this resource. You may remember this as the old name for what is now Google Search Console. A classic example of the many name changes you need to keep up with when it comes to Google services and products (as if you don’t have enough to do already). Googlebot is the primary search bot used by Google. This is the one responsible for crawling your pages and indexing them on those all-important results pages. The front page of your website, normally hosted as the root domain of your site (eg: https://www.yourwebsite.com/). Headings refer to any title, heading or text embedded in heading tags (h1, h2, h3, etc.). At the code level, they help search bots read the structure of your content and they help users do the same on-screen. Headings should be used in correct coordination with each other and optimised for keywords and relevancy. Also, consider readability for the end user. Your headings should make it easier for readers to navigate your page, find the information they’re looking for and also encourage them to read through the next chunk of text. Headings are one of the most important on-page SEO elements and influential features of your content. So take the time to master them. Every visitor that lands on your site counts as one hit. However, the term is also used to quantify the effectiveness of a single campaign or resource. For example, our latest ad campaign generated four million hits in one day. This is important if you publish content in multiple languages. The hreflang tag ensures the correct language and regional results are delivered to users in search results. This stops potential customers in Spain landing on the German version of the same page. Hummingbird was a 2013 algorithm update that revamped Google’s entire search algorithm (instead of one part of it, as seen with panda and penguin updates). For this reason, many SEOs refer to Google’s core algorithm as Hummingbird. An image sitemap tells search engines where images are located across your site. It boosts the chances of your images showing up in Google Images (combined with optimised alt text). Any links coming in from other sites. These are one of the most important ranking signals in Google’s algorithm, but it’s high quality links from reputable (and relevant) sources you need to boost your ranking. After crawling your site, search engines store your resources in their database. This process is known as indexing. Which means your site can appear on Google or whichever search engine, but it doesn’t necessarily mean you rank for any keywords yet. When you link from one page on your site to another, this is called internal linking. Aside from providing important navigation paths for users, search engines like to see relevant pages linked together. A single word or phrase users type into search engines. The latest versions of Google’s own keyword tool, which you’ll find in AdWords. The process of discovering keywords your target audience types into search engines and the intent behind their searches. Google’s knowledge base system that brings in a number of visual result formats onto page one. These are designed to provide users with the information they’re looking for without clicking through to a website. This is where Google stores its growing database of “knowledge”. As of 2014, the search giant had more than 1.6 billion facts stored in this vault and the number today will be significantly higher. Any kind of hyperlink between two web pages (or locations on the same page, in the case of some anchor links). A piece of content designed purely to generate the maximum number of links, rather than meet the needs of your target audience. Also known as reciprocal linking – when two sites agree to swap links. In most situations, this is seen as an outdated method that Google can easily detect and remove any SEO benefits for either party. The general rule of thumb – don’t waste your time with this one. Local SEO focuses on getting your brand seen by customers in one or multiple specific locations. There is also ‘hyper-local SEO’ reflecting the growth in location based levels of search intent. These days, meta descriptions simply provide users with a snippet description of the content on your page. There’s no ranking benefit to these things anymore but they provide important context that helps you generate more clicks. The term Google uses to describe sites and pages that meet its criteria of mobile optimisation. “Mobile friendliness” became a ranking factor in April 2015. Google’s Mobile-Friendly Test allows you type in any URL and get a quick report on the mobile-friendliness of your page and advice on how to improve it. You can only test one URL/page at a time but it’s a valuable feedback tool for mobile optimisation basics. Google’s mobile usability report is a tool that identifies potential UX issues on your pages and provides feedback on how to fix them. You need to access this tool via Google Search Console. The practice of trying to negatively impact the search ranking of a rival business. Google is pretty good at detecting this now but it’s still worth running regular tests to detect any potential attacks. The Noarchive tag tells Google and other search engines not to store a cached version of your page or resource. 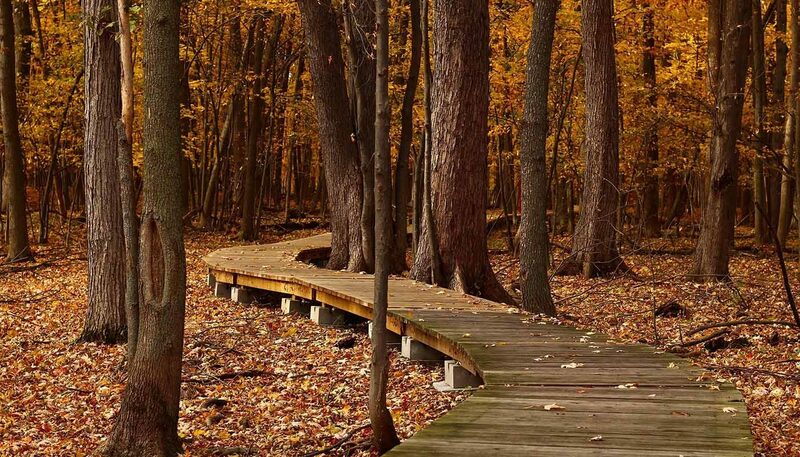 The Nofollow tag tells search engines not to follow the path of a link. This is important when you’re linking to a site that could potentially have a negative impact on your link profile. The Noindex tag tells Google not to index a specific page or resource. This is for page you don’t want to show up in search engines (eg: Thank you pages, staff login pages, etc.). Simply refers to the regular (or natural) search listings found on the results page (i.e. not paid ads). Refers to the side of search marketing that doesn’t involve paid advertising. This includes SEO itself but can also refer to users, traffic and search engines outside of their advertising systems. The traffic generated from organic search results. PageRank was the original algorithmic concept behind Google. This is where the notion that a page generating more links should rank higher comes from. While Google still puts a lot of weight on the inbound links pages generate, its modern algorithm is far more complex. Page Authority is another metric created by Moz, not Google. However, it is widely referred to by many SEOs to reflect how well a single page or URL ranks in search engines. Panda refers to one part of Google’s core algorithm, believed to focus on the “quality” of content on websites and individual pages. Various updates were made to this section of the algorithm since 2011 but Google no longer distinguishes between Panda and its core algorithm. Penguin refers a series of Google algorithm updates that aim to improve its search results. Penguin focuses on a number of link related metrics, designed to combat poor/low-quality link building and reward sites that earn links from high-quality sites. The pigeon update rolled out in 2014 with the aim of improving local search results. The domain you want Google and other search engines to show in listings (e.g. www. vs non-www). In SEO, a query (or search query) can either refer to the terms a user types into a search engine or the act of searching for them itself. RankBrain is a machine learning, artificially intelligent section of Google’s search algorithm, introduced in 2015. It helps Google better understand the intent behind a user’s search and then decide which ranking factors are most important to that specific search. In other words, the most important ranking factors for one search may not be the same as another. Your position on any given results page for a particular search/keyword. Rich cards are a mobile format of search results introduced by Google in 2017. They’re designed to provide users with more contextual information, improve the mobile search experience and increase the number of clicks. 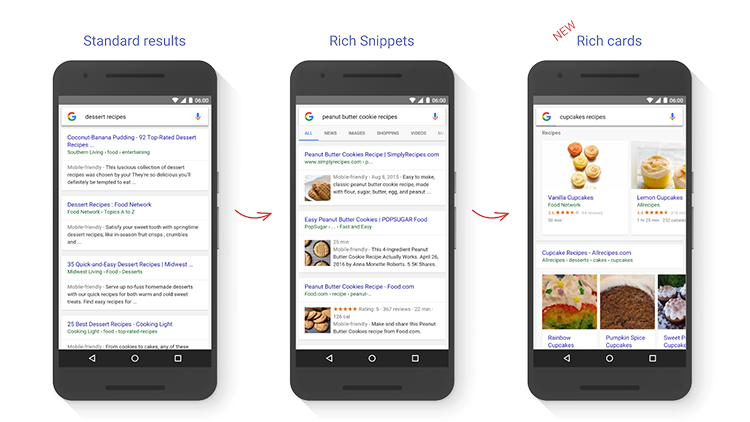 Rich snippets are a number of result formats Google uses for various types of content: articles, local businesses, music, recipes, reviews, etc. This is where you communicate with search engines about indexing your site, pages and resources. You can allow or disallow search engines from indexing specific resources or even single out specific search engines in your robots.txt file. Your root domain is essentially the main URL of your website – e.g. yoursite.com. More specifically, a root domain is the highest level of a website that all subdomains and pages fall under. The ‘Google Sandbox’ is an algorithm that has allegedly existed since 2004, a filter that potentially affects new websites and/or links. Google Search Console (GSC) is basically the current name for Google Webmaster Tools (GWT). This is where you can easily submit sitemaps and other resources to Google and get advice from an online community of webmasters. As Google puts it, search operators are “symbols or words” users can include in their search queries to get more specific results. This includes using “+”, “-” and other commands to refine the results Google returns. You can find out more info on these over at Google Help. This refers to the overall visibility of a brand, website, individual page or resource in search engines. High search visibility means you’re turning up in the top positions, while low visibility can mean anything from not appearing on page one to being dozens, hundreds or millions of pages behind, depending on the keyword in question. The process of optimising websites, pages, and content in order to generate highly qualified traffic in larger volumes. SERPs (or Search Engine Results Page) can refer to the results page of a particular query or the overall design and layout of results pages. A list of pages on your website, made available for both search engines and users. In some cases, your sitemap might lead search engines to pages they wouldn’t otherwise discover and they can help users get an overview of what’s available on your website. Sitemaps for users should be rendered in HTML and viewable in-browser. Structured data provides search engines with information and context about your page and its content. 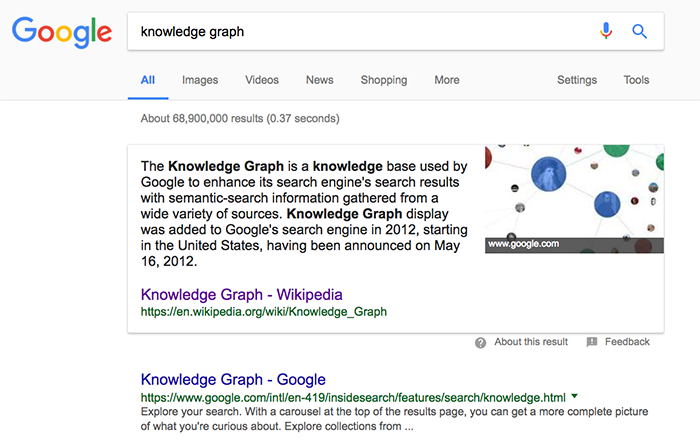 Google uses structured data to format rich snippets, knowledge graph results and other listing formats. It helps Google provide the most relevant content to users in the correct format (e.g. answer boxes, articles, local results, etc). One of the most important on-page SEO elements, the title tags tell search engines and users what each page on your site is about. The text inside your tags shows up as the clickable title in search results and any visible browser tabs. Topical Trust Flow is a metric from Majestic, not Google or any other search engine. However, it’s a useful phrase used by many SEOs to grade the relevance of inbound links pointing to a website. The higher this number, the better. Trust Flow is another metric from Majestic, that aims to measure the quantity and trustworthiness of links pointing to a particular website or URL. Essentially, this gives you an idea of how good the link profile of another site is – important if they’re linking to your own site. At its most basic, unique content won’t trigger any of Google’s duplicate alarm bells. However, unique content in terms of topic, format or location can help you stand out among your competitors and provide something users won’t find elsewhere. Specifically, content that users can take something valuable from. While a funny video counts as engaging content, it doesn’t necessarily count as valuable content in the same way a product review might help users make better buying decisions. The X-Robots-Tag allows you to control how individual pages are indexed in Google. Using the HTTP header you can define these settings, as needed when you create individual pages in HTML. For more info, visit this Google Developers page. If you think any words should be added to this glossary or require any further information, tweet us and we’ll happily look to include them.